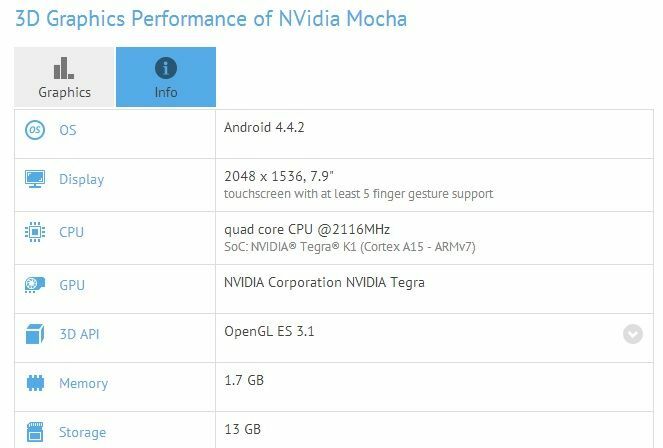 Details of a possibly upcoming tablet device codenamed Mocha from NVIDIA have hit the web, yet it is still unknown whether this device is merely for internal testing or public release. What we do know is that information spotted on GFXBench, points to a tablet device with a display size of 7.9″, rocking a QXGA resolution of 2048 x 1536. Along with that gorgeous resolution, the tablet is powered by a Tegra K1 quad-core processor, 2GB of RAM, features a 7MP rear-facing camera, 4.8MP front-facing camera, 16GB of on-board storage, Bluetooth 4.0, WiFi connectivity, and runs Android 4.4.2. While it does sound like a sweet competitor to the iPad Mini, we have to remind ourselves that this may only be a reference device for manufacturers, and not an item set for public launch. NVIDIA is known for doing these things, which reminds us of the reference smartphone they released last year that had great specs, named Phoenix. 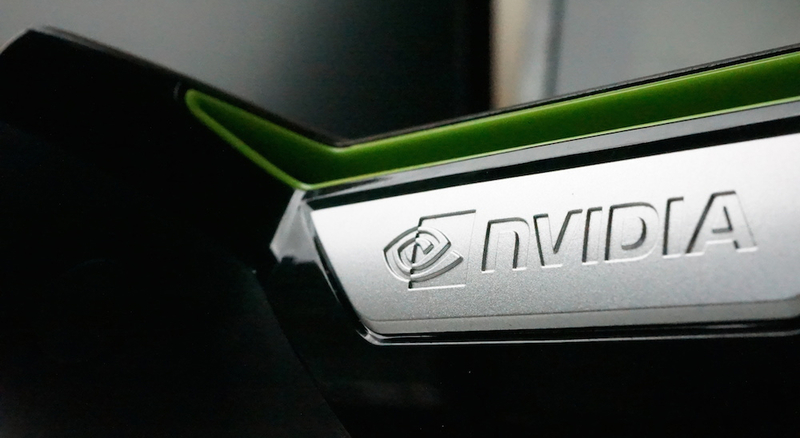 If Mocha does get turned into a purchasable product through a different OEM or NVIDIA themselves, would you want one?